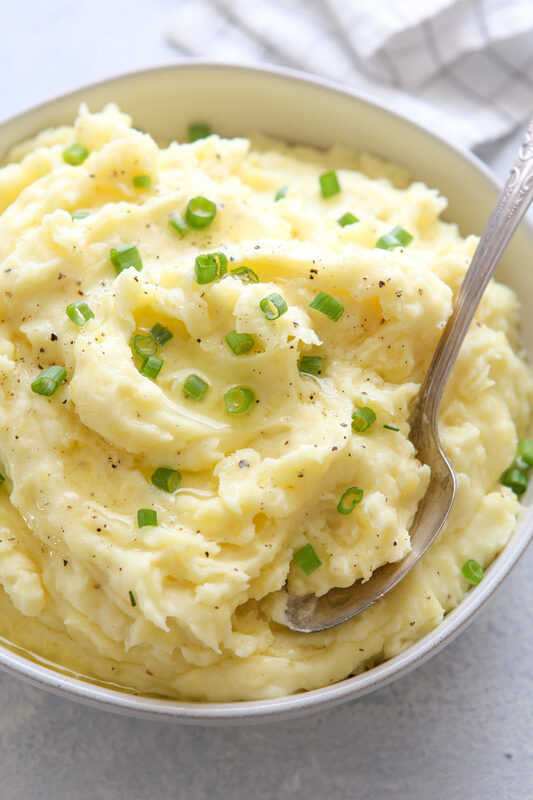 Mashed potatoes are very simple to make, but remembering a few important details will take this classic side dish from good to amazing! 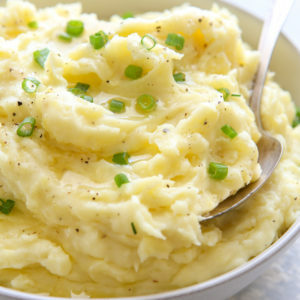 These mashed potatoes have it all! 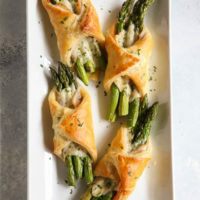 They’re rich and creamy, flavorful and fluffy. 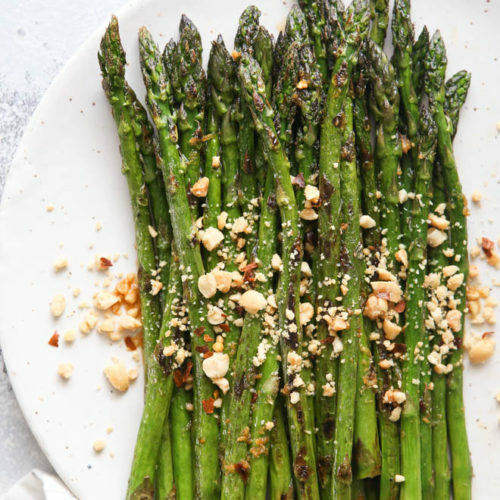 They’re the perfect side dish for so many meals and you can serve them as is, with gravy, or (my favorite) with an extra drizzle of melted butter over the top. 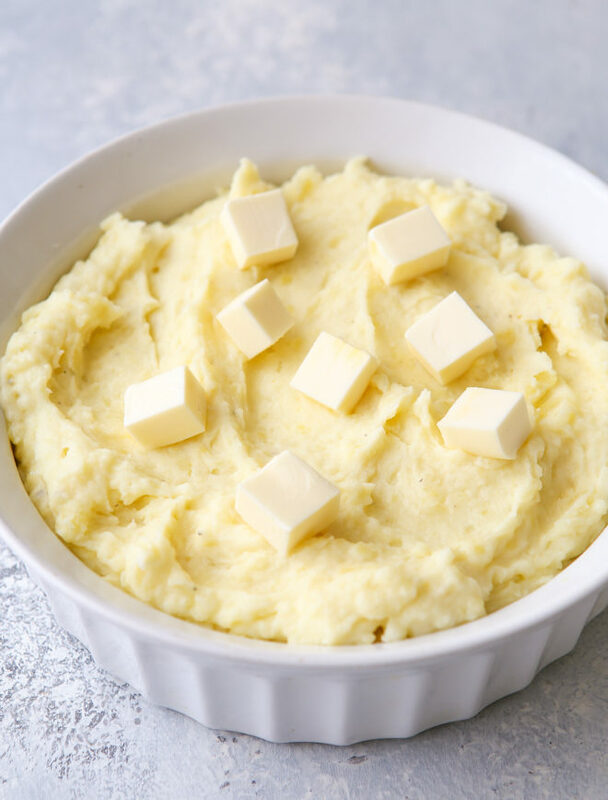 I created this tutorial on how to make the best mashed potatoes for my friends at Go Bold with Butter— complete with the best ingredients to use, how to get that perfect creamy texture, and even how to make them ahead of time. And I’m so excited to share it with all of you! I prefer to use gold or yellow potatoes for mashing. 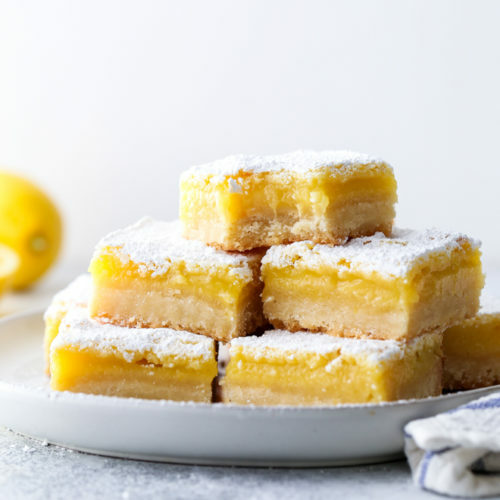 They’re not too starchy or waxy, and they have a creamy texture and buttery flavor. 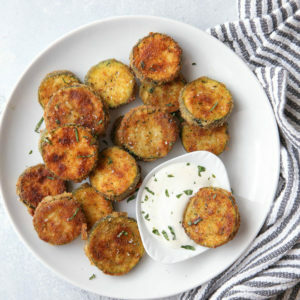 You can also use a combination of yellow and russet potatoes. I generally don’t use red potatoes for mashing unless I’m going for a more rustic and chunky dish. 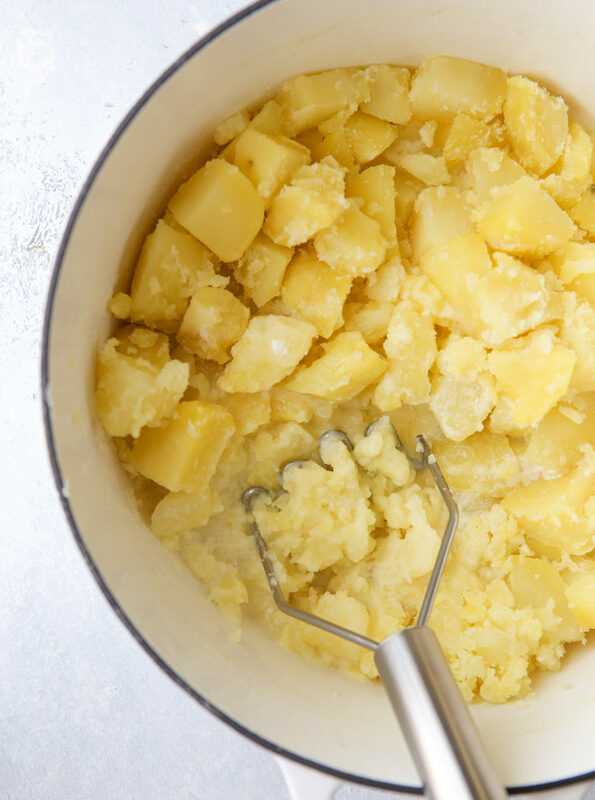 Place chopped potatoes (peels on or off, that’s up to you!) in a pot filled with cold water and a generous sprinkling of salt. Bring to a boil, then reduce heat slightly and simmer for about 20 minutes until potatoes are just fork tender. Do not cook too long or the potatoes will absorb excess water. Drain the potatoes, spread evenly onto a sheet pan, and put in a 350°F oven for about 10-15 minutes. 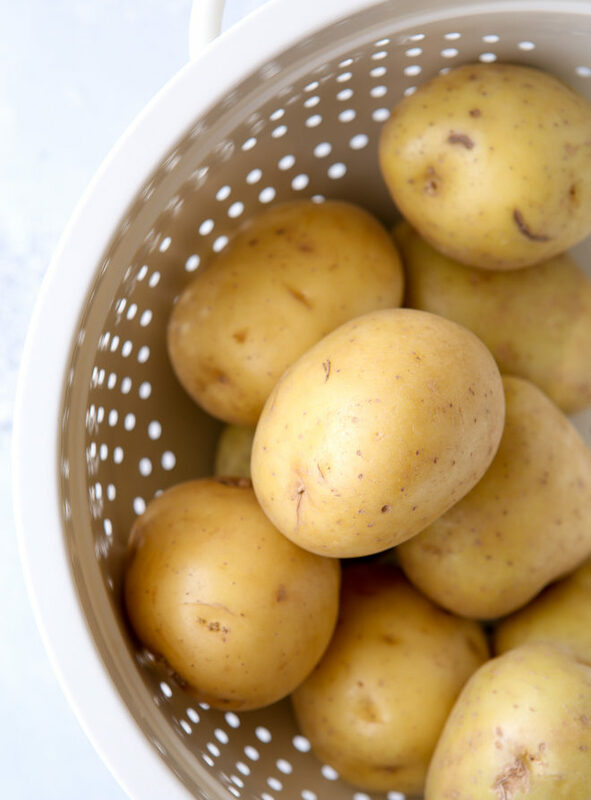 Dry potatoes are able to absorb more milk and butter, making the finished mashed potatoes very smooth and creamy. This is an extra step that not many take, and you may be tempted to skip it, but it really makes a difference! You can use either milk or cream in your potatoes, per your preference. 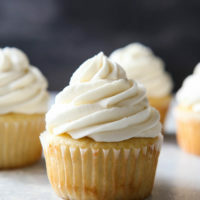 The difference will be in flavor and richness, with cream providing the most flavor and creaminess. 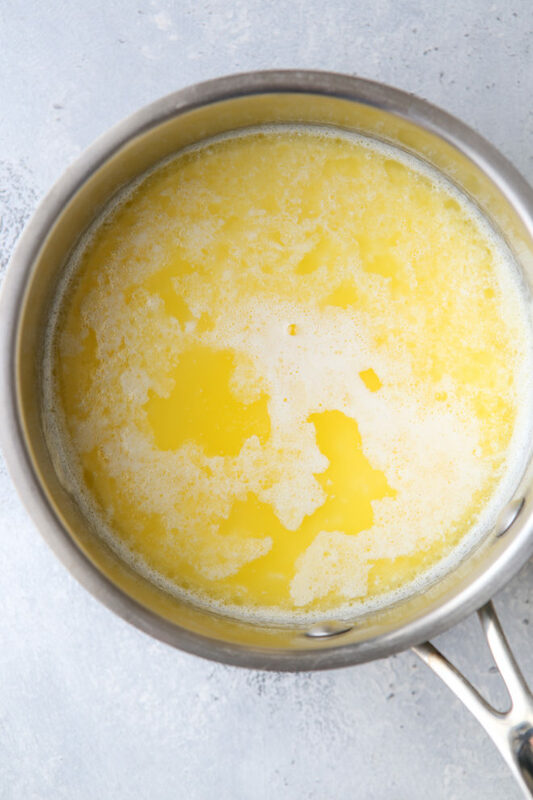 While the potatoes are in the oven, warm the butter and milk/cream over the stove until butter is melted. The potatoes will absorb the warm dairy easily and you won’t have to overwork the potatoes to get everything smooth. Plus, it helps keep the mashed potatoes hot. Return the potatoes to the pot and add about half of the warmed dairy. Use a potato masher or a hand-held mixer to break up the potatoes. Add remaining dairy and mix just until smooth and creamy. Overworking the potatoes will cause them to get gummy, potatoes should still be light and fluffy. Side note: I’ve seen lots of recipes state you have to use a ricer or food mill to get perfectly creamy mashed potatoes, but I refuse to by single-use kitchen gadgets and my mashed potatoes are plenty creamy! I like to start with a potato masher to break up the potatoes, then switch to a hand-held mixer to get them light and fluffy. 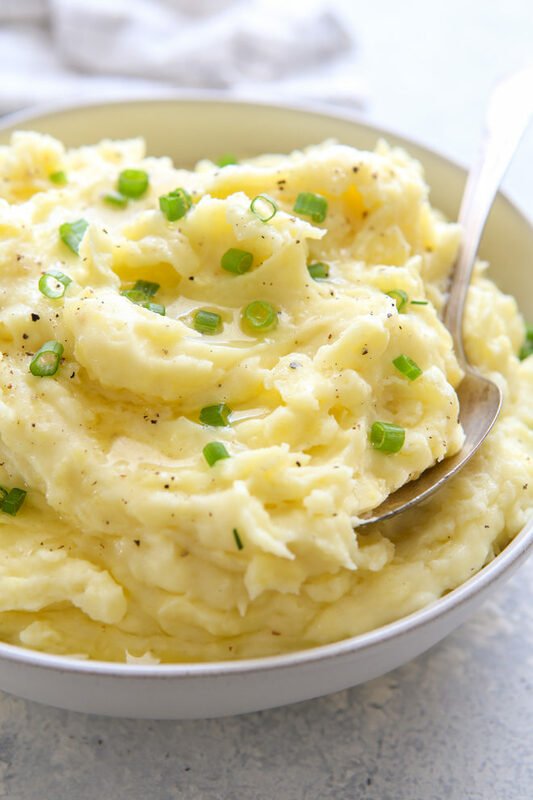 If you’d like to make mashed potatoes ahead of time, keep warm in a slow cooker for up to 4 hours. 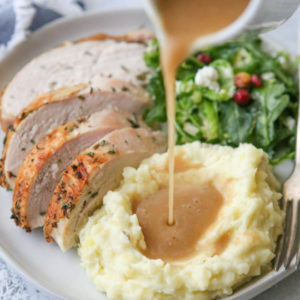 If you are making them more than 4 hours in advance, place mashed potatoes in a greased casserole dish and top with 2 tablespoons of cubed butter. 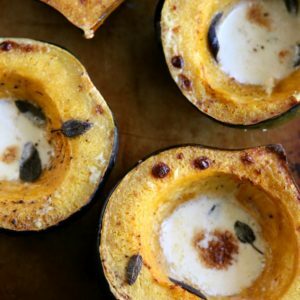 Cover with foil and refrigerate for up to several days. 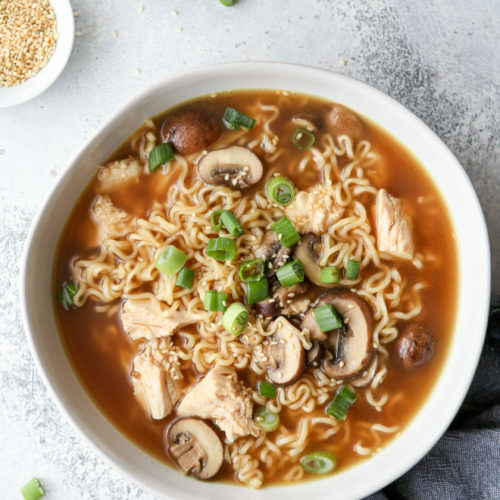 To reheat, warm in a 350°F oven for 30 minutes. Stir until smooth and serve. 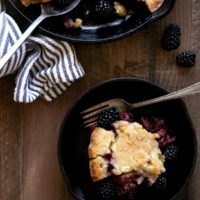 This recipe was originally created for Go Bold with Butter. See the original post here. 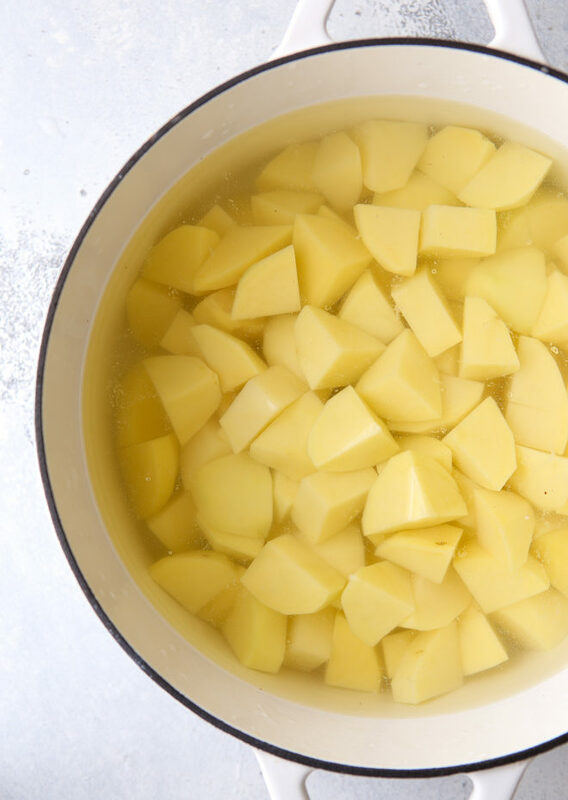 Add chopped potatoes to a large pot of salted cold water. Bring to a boil, then reduce heat slightly and simmer for about 20 minutes until potatoes are just fork tender. Drain potatoes and spread into an even layer on a sheet pan. Toast in a 350°F for 15 minutes. Meanwhile, warm butter and milk or cream in a saucepan until butter is melted. 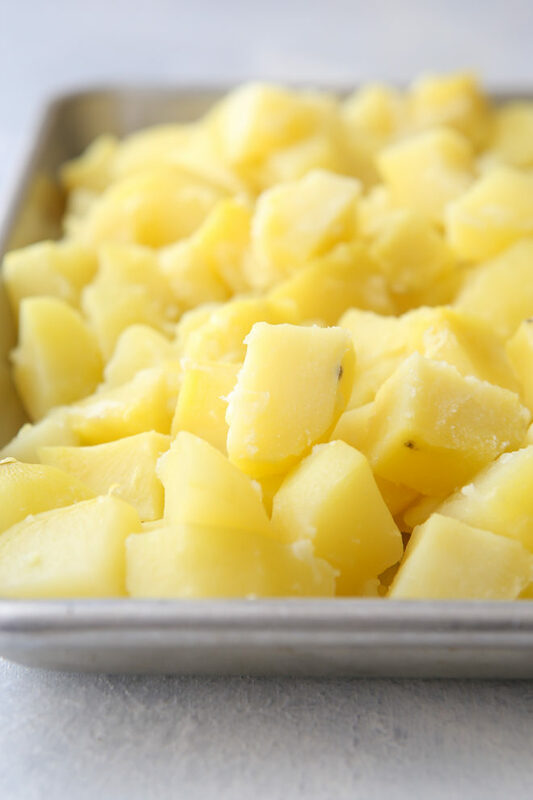 Return potatoes to the pot and add butter mixture, salt and pepper. 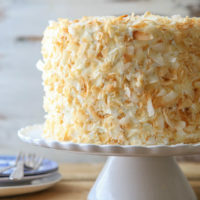 Use a vegetable masher or electric mixer to beat until smooth. 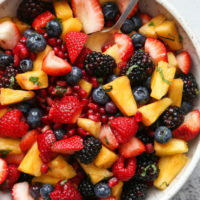 Be careful not to over mix, or potatoes may become gummy. 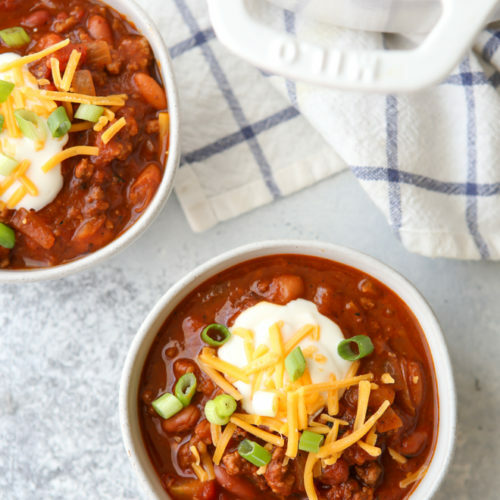 Serve immediately or keep warm in a slow cooker for up to 4 hours. To make ahead, place in a greased casserole dish and top with 2 additional tablespoons of cubed butter. Cover with foil and refrigerate until needed, up to several days. To reheat, warm in a 350°F oven for 30 minutes. Stir until smooth.